There are many creative ways our Team Captains get others involved with T.E.A.L.®! Special shout out to Marianne Sheldon, Team Captain of L.F.A.O.C. 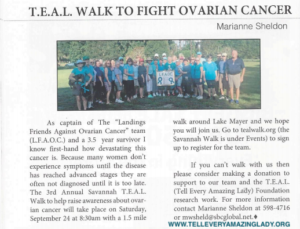 at the Annual T.E.A.L.® Walk in Savannah, Georgia who published an article in her gated community’s weekly magazine called the TWATL (This Week at the Landings). 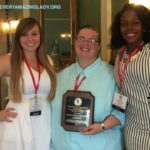 She submitted an article in last year to thank everyone who came out for the Walk and in 2016, she put in another article inviting her community to join her. 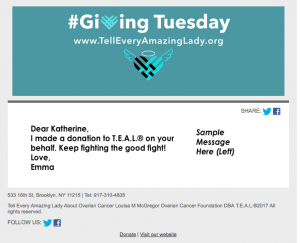 This is one example of the AMAZING ideas our supporters come up with to Tell Every Amazing Lady and Man About Ovarian Cancer. 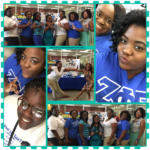 Read her article below!